There are many old bluestone buildings around Axedale, which are still in good condition and beautiful. The following article from the newspaper reports that the bluestone in this area is of excellent quality. 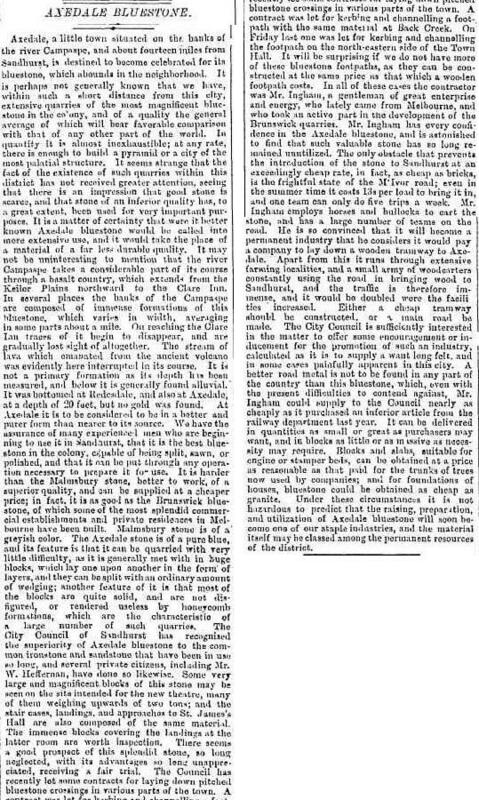 “It is perhaps not generally known that we have, within such a short distance from this city, extensive quarries of the most magnificent blue stone in the colony, and of a quality the general average of which will bear favorable comparison with tint of any other part of the world. In quantity it is almost inexhaustible; at any rate, there is enough to build a pyramid or a city of the most, palatial structure. It seems strange that the fact of the existence of such quarries within this district has not received greater attention, seeing that there is an impression that good stone is scarce, and that stone of an inferior quality has, to a great extent, been used for very important purposes. 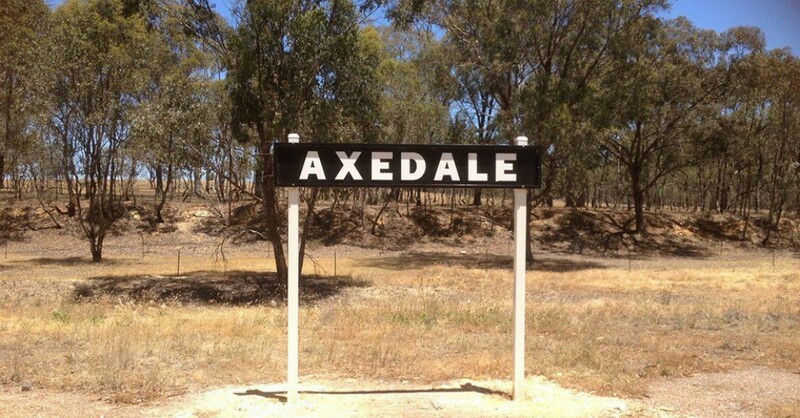 It is a matter of certainty that were it better known, Axedale bluestone would be called into more extensive use, and it would take the place of a material of a far less durable quality”. This entry was posted in Uncategorized and tagged Axedale, Bendigo, Bluestone, History by Jennifer Jones. Bookmark the permalink.